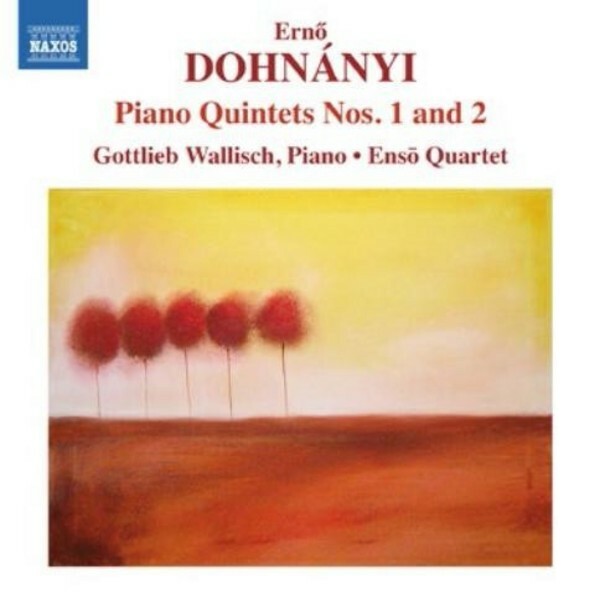 Few composers have achieved greater success with their first published composition than Ernő Dohnányi with his Piano Quintet in C minor, Op.1. Written in 1895 and praised highly by Brahms, who is believed to have organised a Viennese performance shortly afterwards, it heralded the emergence of a major new talent. The harmonic ambiguity of the 1914 Piano Quintet in E flat minor points to the composer’s awareness of on-going developments in European music. Still underestimated, it ranks among the most important works of Dohnányi’s ‘middle period’. Dohnányi’s two Piano Quintets were composed in the earlier part of his life, the Op.1 reflective of his admiration for the music of Brahms and the second showing a growing sophistication and personalisation.